Enterprises in the beverage industry are facing tough competition. Water consumption is one of the most significant cost factors in the sector, since water is the main ingredient of their products. In addition, bottle washing or cleaning of machines and equipment also requires enormous amounts of clean water. This is why beverage producers need a wastewater treatment system that meets these demands. Waste water containing fat and oils, generated from the cleaning of equipment and installations and from the sterilization process. Our equipment can be adapted to the highest loads produced by the whey`s pouring. By Toro Equipment S.L. based in La Cistérniga, SPAIN. They have a high content of suspended solids, as well as dissolved organic materials and proteins. Our best-in-class solutions serve the needs of a wide range of food and beverage manufacturers across the globe. Fluence has more than 30 years of experience in delivering water, wastewater, and waste-to-energy projects to the food and beverage industry across the globe. Our unique technologies provide best-in-class treatment for incoming ingredient water, reduce operating costs by turning waste into a resource, and help our customers enhance their products. Our process separates the solid materials from oils and fat that are mainly produced during the animal`s slaughter and quartering. In the case of slaughterhouses, our ANACONDA equipment can reduce the contaminating load by up to 95%. They have a high content value for organic material, solids, oils and grease, with the added presence of nitrogen, produced particularly in the cleaning, descaling, peeling and bone extraction process. To avoid the problem of salinity, several components can be made using ASI 314. We are about to bring our patented waste water treatment technique for heavy industrial waste water disposal. Rotating Bed Biofilm Reactor (RBBR) requires less space than traditional solutions. 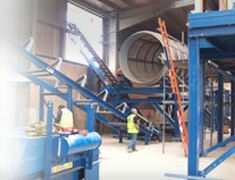 Our treatment process handles temporary increases in load and is suitable for use in the food industry. By Clewer OY based in Turku, FINLAND. Companies in the food industry need large amounts of water – as an ingredient of their products, but also – in large amounts – for the production process and for the cleaning of raw materials, machines and equipment. Water cleans, washes and is processed. Using this essential resource carefully helps to reduce costs. The biological wastewater treatment process by DAS Environmental Expert enables companies to recycle usage water and therefore lower overall consumption. After supreme purity law of water: In the food industry water of the highest quality is required. For filling of cans, bottles and other packaging only sterile water may be in use. The same applies to machinery and production lines which must be cleaned regularly at the highest level. For these waters AWAS offers combined UVA and UVC procedures. By AWAS International GmbH based in Wilnsdorf, GERMANY. The associated effluents will have a high or low load depending on the specific activity of each company. The processes employed will depend on the output parameters that have to be attained, depending on current legislation. Brewing Applications, Hop Oil Separation, Grease Removal, Settleable and/or Suspended Solids Removal. By Hydro Quip, Inc. (HQI) based in Seekonk, MASSACHUSETTS (USA). Industrial wastewater characterized by an high COD content are an interesting renewable source for the Food and beverage industrial sector which can have them readily available from their industrial processes. The COD contribution in the wastewater can be easily converted in biogas and then in green energy to reuse inside the factory as both electrical energy and thermal energy. This process can be applied with the installation of the UASB technology, implemented by Hydroitalia - Colsen in new and existing plants. By Hydroitalia - Colsen Srl based in Medicina, ITALY. The food and beverage industry uses water within its production process and for raw material washing, producing large quantities of wastewater. To reduce the water impact index, all the effluents coming from the production process can be reused a second time allowing water saving. IDRAFLOT package flotation units are a technological solution for the separation of suspended solids and oil/fats from a water-based stream. State-of-the-art Technology for Food Processing. Food and beverage manufacturers face a complex and constantly evolving industry due to dynamic changes in regulations, customer preferences and market conditions. Notwithstanding stringent hygiene requirements, F&B manufacturers are also forced to minimise their water footprint and comply with strict wastewater discharge regulations in the interest of long term water sustainability. By Hyflux Membranes based in Singapore, SINGAPORE. B & V Effluent services have been successfully helping brewers and distillers throughout the UK with the management of their effluent systems for nearly 30 years. 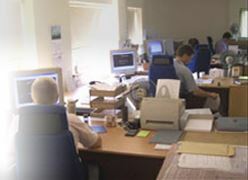 As a result the B & V Effluent Team holds a vast amount of specialist knowledge in regards to the problems faced within the beverage industry including the management & reduction of pollutants in general to meet discharge consents.